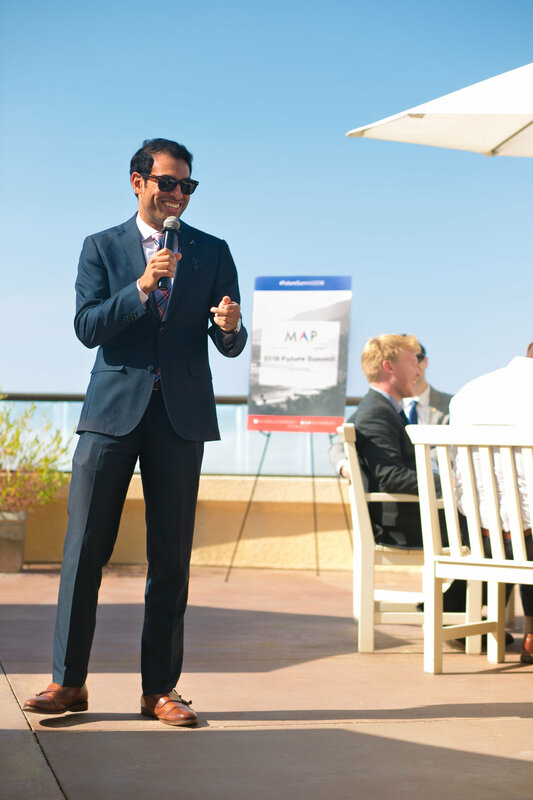 On July 29, 2018, Millennial Action Project partnered with the Pepperdine School of Public Policy to host MAP’s 2nd Annual Future Summit. A bipartisan group of nearly fifty state legislators from 23 states convened in Malibu, CA for a day of collaboration, innovation, and consensus on next-generation policies affecting young people across the country. 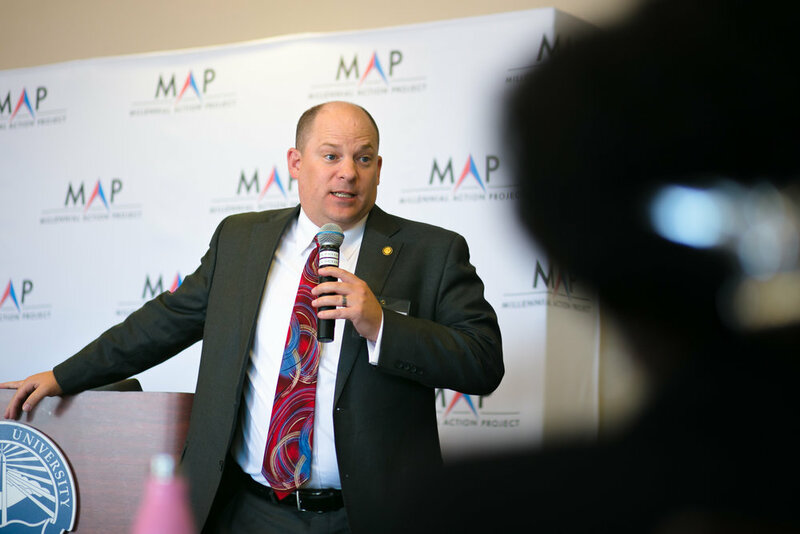 Over the last five years, MAP has cultivated 26 state Future Caucuses across the country, allowing for innovative policy ideas to spread between parties and across state lines. This network reaches more than 600 legislators each year and the Future Summit serves as an invaluable opportunity for these elected officials to convene around issues that impact America’s present and future. The 2018 Future Summit kicked off with welcoming remarks by MAP President Steven Olikara, and Dean of the School of Public Policy, Pete Peterson. Legislators then attended breakout sessions on either higher education, workforce development and the gig economy, healthcare, and criminal justice reform. These issues were identified by participants prior to the Future Summit as areas of interest, and legislators discussed specific challenges, successes, and potential opportunities in their home states. For example, criminal justice breakout facilitator Rep. Leslie Herod (CO) shared her experiences with “Caring 4 Denver,” a program that addresses mental health and substance abuse, and how this approach could benefit other states. In student debt, legislators shared their efforts to solve a crisis that hit close to home for many. Members of the Florida and Georgia delegation discussed successful state scholarship programs, while Rep. Mark Cardenas (AZ) shared his initiatives around how to fund increased investment in public education. In the healthcare session, Rep. Daniel Thacher (UT) explained Utah’s new app that assists those in a mental health crisis and how it can be modified for states across the country. Following these sessions legislators received an exclusive briefing from The Civil Society Institute (CSI) on their new research identifying a cohort of the American electorate dubbed “solutions voters.” Their new polling data examines what drives this nontraditional voter bloc, who identify across the political spectrum but are motivated by optimistic and solutions-oriented policies. Legislators learned how to best connect with solutions voters, a crucial part of transcending traditional partisan politics and shifting into a new governing paradigm. The dialogue continued with a workshop entitled “Leveraging your Future Caucus for Change,” led by State Caucus Network Director Cherisse Eatmon. Creativity flowed as the lawmakers role-played through different caucus management scenarios such as starting a caucus, developing community partnerships, and advancing legislative priorities. At the workshop’s conclusion, legislators set goals and expectations for their respective caucuses through the end of 2018 and into 2019. The innovation continued in the “To Form a More Perfect Union” session on good government and democracy reform. Led by Cherisse Eatmon and Ian Vanderwalker, Senior Counsel for Democracy Program at the Brennan Center for Justice, the group addressed the deterioration of confidence in our government and institutions. Legislators explored best approaches to rebuild this trust such as fair redistricting, increasing access to voting, successfully elevating the conversation above partisanship, and recognizing that democracy reform benefits everyone. To wrap up the afternoon of programming, ABC Chief Political Analyst Matthew Dowd had the tables turned on him, and was interviewed by MAP President Steven Olikara. Dowd used his experience advising top political leaders like Presidents George W. Bush and Barack Obama to give a truly unique perspective on political involvement and the importance of engaging younger generations. Both he and Olikara agreed that millennials have the drive and passion to lead movements and effectively translate their visions into governance, words that inspired the entire room. 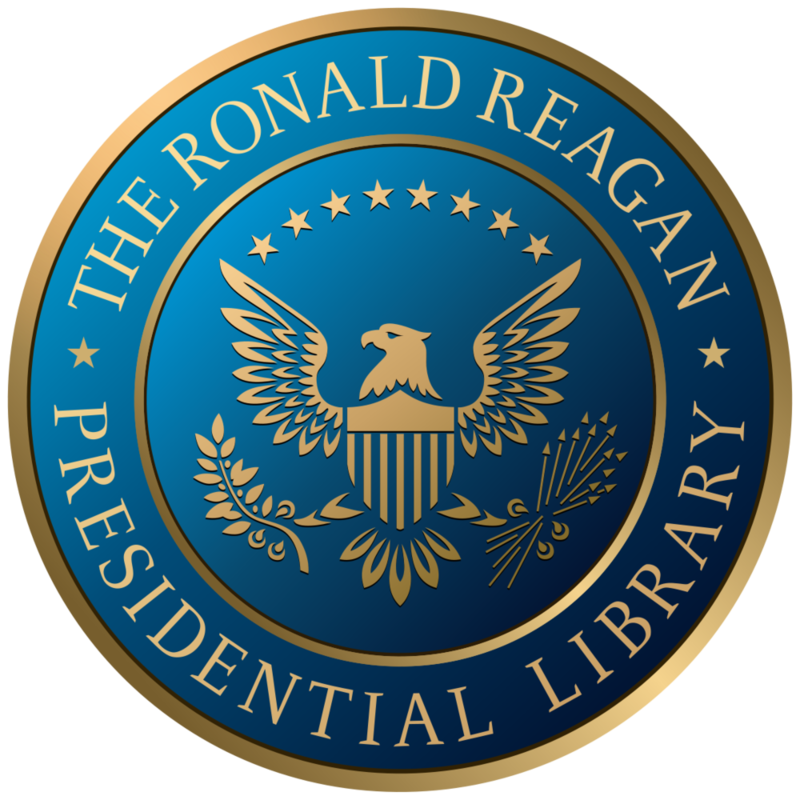 To cap off the day, attendees and MAP supporters attended a private tour and evening reception at the Ronald Reagan Presidential Library, where attendees walked through the life and achievements of President Reagan. The evening ended with a networking cocktail reception with a backdrop of the stunning Simi Valley. The next morning, legislators had the unique opportunity to meet with staff at Creative Artists Agency (CAA)—the top talent management agency in Los Angeles—to discuss how insights in the entertainment industry can translate into politics and governance. Both the legislators and CAA staff took away valuable lessons and shared ideas on how to best spark voting and civic engagement across the US.